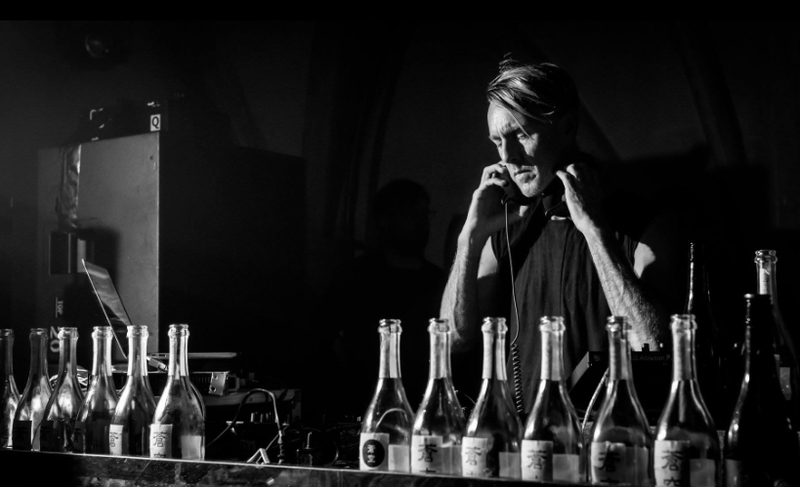 Richie Hawtin needs no introduction to anyone familiar with electronic music. For 25 years, this Berlin-based, English-Canadian DJ has been at the forefront of techno and he continues to play at major music and art events around the planet. Less well known is his passion for premium sake and his work introducing Japan’s national drink to the rest of the world through his Enter.Sake project. 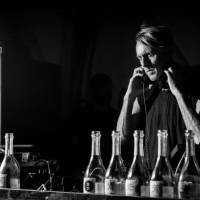 Ahead of his visits later this spring, Hawtin spoke to The Japan Times about his connection with Japan. It was in 1994. In Tokyo, I played the original Liquid Room in Shinjuku, then Kyoto and Fukuoka. (That trip) was my introduction to real sashimi, to local delicacies such as okonomiyaki pancakes — and to sake I’d never tried before. Was that your first taste of sake? I had always been into Japan. In Canada I was trying sushi and, because I liked Japan so much, I also drank sake from about 1990. In those early days I just loved the taste, I loved how exotic the bottles were and I loved the buzz. From the late ’90s I started drinking premium sake — super-refined types like Juyondai, Kuheiji, Isojiman and Jokigen — that just blew my socks off. In 2008, I joined a sake class led by (pioneering sake expert) John Gauntner. For one week you just travel to breweries, and part of the schooling is drinking lots of sake. I expected to return with a deeper understanding of the culture and history, but I also came back with inspiration to become part of the sake community. How did you come to introduce sake at your events? I felt my situation as a DJ playing clubs around the world offered a completely different opportunity compared to anyone else in the class. My classmates were all much more educated in tasting than I was and I felt quite naive. But I could see I had an opportunity and a way to bring sake to the next generation. Initially I wanted to open a sake bar in Berlin, but that developed into the idea of bringing sake to my events at a special bar called Enter.Sake. 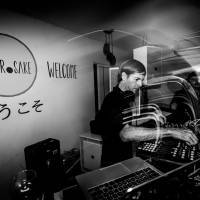 Are sake and techno music a good fit? The type of music I make and release on my label is the type of music I like to listen to. And sake is the type of drink I enjoy. Electronic music events often go longer than a typical bar or club, and sake — with its purity, and balance of amino acids and alcohol — is a drink that you can enjoy over a longer period. A large portion of the performers and participants (at techno events) are drinking or taking something to relieve their inhibitions, so they all become one and enjoy the moment. They’re wrapped up in the frequencies and the lights and they forget about normal life. And I think sake helps bring you to that point. Does it have a different buzz? Let’s call it a different frequency. Coming from a club perspective, highly distilled spirits like vodka and tequila are fast, and then they tail off quick. 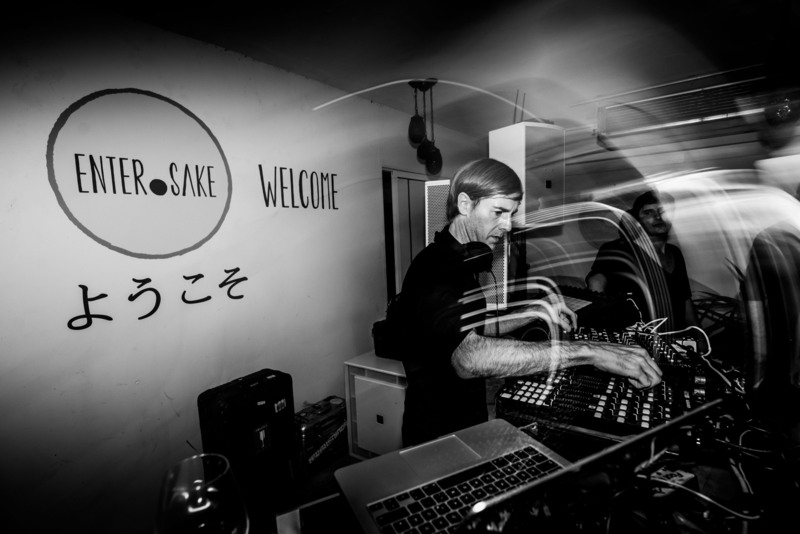 I think the pairing of sake and electronic music matches well together. There’s a certain purity. It’s hypnotic. It works. Sake always brings people together. Like sitting at a table and pouring for each other, it’s very social — certain other stimulants aren’t very social. It’s much more extroverted than introverted. So how did Enter.Sake begin? About five years ago, I started doing a club in (dance music mecca) Ibiza for 12 weeks each summer called Enter. So when I decided to start an Enter.Sake bar, I knew I wanted to represent sake in a different way. And I knew I had to educate people. For the first two or three years we tested how we would package and promote it. At first we were just taking sake from Japan to Spain. To go from that to the idea of taking it to Germany and Switzerland, and Italy and France and the U.K. and America was a big step. But it has been very, very organic. It started with a passion and a bottle. And it also started with a lot of trust from brewers and friends. I met (Sookuu brewery owner) Fujioka-san in Kyoto when I was doing John’s course. It was pretty much the first brewery I ever walked into. Somehow we hit it off and Fujioka, like many sake brewers, was interested but confused by the international market. And (the Enter.Sake team) understand the international market, so I think there was a lot of trust on both sides. How many brewers are you working with now? We’re working with Sookuu and Matsumoto in Fushimi, Kyoto; with Aramasa in Akita, and Dassai in Yamaguchi; with Houraisen (in Aichi), who’s producing our signature range of Black, Silver and Gold sake. Next year we’re introducing Heiwa (Wakayama). And we’ve also worked with Kokuryu (Fukui). We see the project as having three levels: The signature sake is an introduction for first-time consumers; once they find a profile they like, then we have the next level, which is our Collection and Collaboration series; we take people into the world of sake, giving them new tastes and letting them explore and, eventually, when we do our job right, they’re going to get thrown out of Enter.Sake into the whole world of sake. Do you have a favorite sake-producing region or style of sake? I do like a lot of sake from central Japan. But jumping from north to middle to south, you really get a big difference. Through our Enter.Sake collection, I want people to get an idea of the diversity of sake. It’s not our job to show them everything. Our job is to make them so excited they go and explore everything by themselves. Do you feel Japan is a second home, or is it still an exotic place? It will always be exotic until I learn the language, but it’s definitely a second home; the place where I get goosebumps when I land, the place I want any reason to come back to, is Japan. I don’t think that will change. I met my fiancee in Japan. She’s German, but we want to get married here — it’s on a deep level. Do you have a favorite Japanese food? Shirako (fish milt) and mentaiko (spicy roe). Are there any sake bars in Tokyo that you recommend? I’m crazy. I look up sake bars and just go — with no language. There’s a place I found under Shibuya Station. I don’t even know its name. But not everyone’s like that. I’d rather recommend places like Sake to Sakana (in Maruyamacho, Shibuya). Because Masako-san [the owner] is so open, even with the language barrier — emotion and passion can go so far. Also, Sasagin (Yoyogi Uehara): you walk in there, they’re smiling, and they have an English sake menu. For more information, visit www.entersake.com.